1Umbrella is a trade distributor for a collective group of emerging brands. Our collaboration will enable many of these small, UK design-led brands to grow. All the brands have their own websites and dynamic entrepreneurial owners, we hope over time you will recognise their products and brands in their own right. I know from a retailers view its more proficient, cost effective and preferable to buy stock from one reliable supplier. 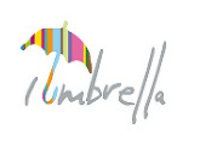 1Umbrella will give you access to a wide portfolio of brands and access to hundreds of innovative products.